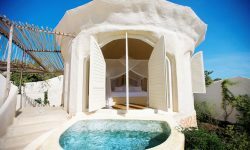 Kilindi Zanzibar comprises of a serious of white 15 eastern-styleed domed Pavilion guest rooms all set in 35 Acres of lush tropical gardens. In each Pavilion Suite, white wooden shutters embrace wide arched glassless windows offering spectacular views of the Indian Ocean. The ocean breeze gently flows through the rooms. 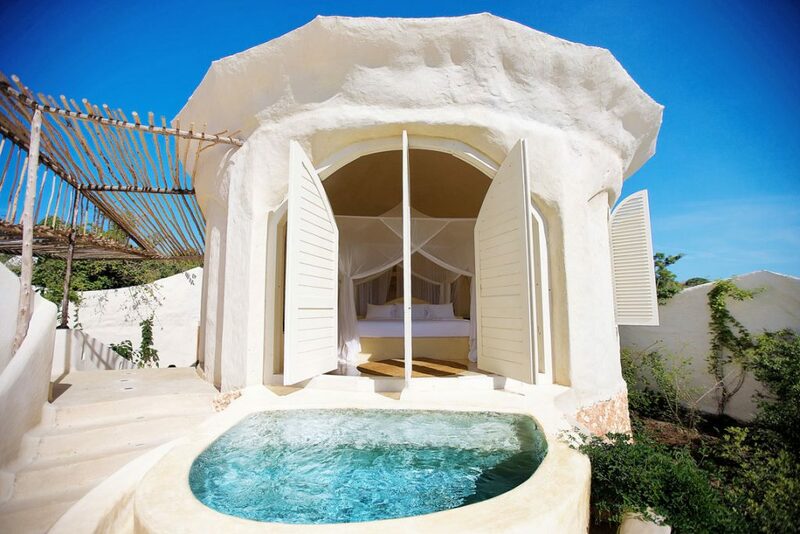 Each Pavilion has its own plunge pool and rainfall shower giving great ocean views. A private Butler service will give you all the privacy. A ‘Waterfall Bar” with the Main Pavilion overlooks a large 25 metre infinity pool which itself offers views out across the Indian Ocean. 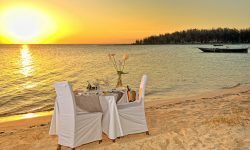 Dining takes place on the alfresco terrace or along the pristine white powder sand beach. 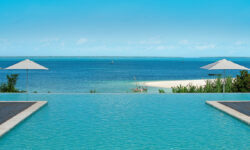 Kilindi is ideal for Honeymooners and lovers as they take away memories of a life time.